A long lost NASA satellite has been found alive, if not necessarily well. 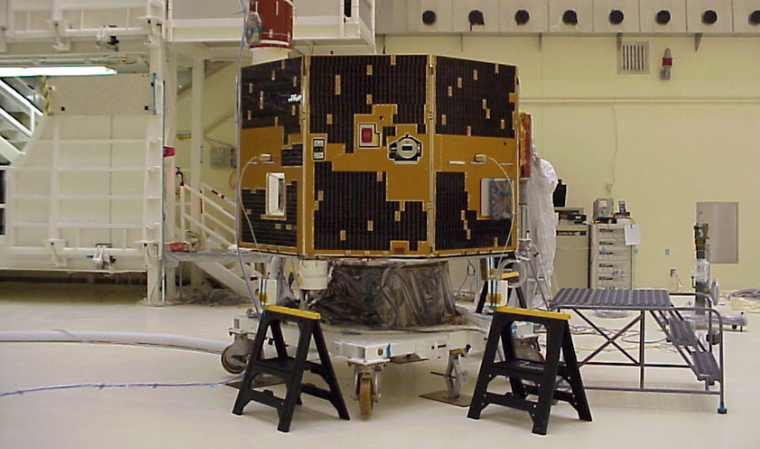 NASA's Goddard Space Flight Center (GSFC) has confirmed that an amateur astronomer looking for a missing spy satellite stumbled across radio transmissions from NASA's Imager for Magnetopause-to-Aurora Global Exploration (IMAGE) science satellite, which lost contact with mission control over 12 years ago. On march 25, 2000, NASA launched the IMAGE satellite from Vandenberg Air Force Base in California atop a Delta II rocket. Parked in a 14.2 hr polar orbit at an altitude between 640.4 km (397.9 mi) and 46,248.4 km (28,737.4 mi), the unmanned orbiter kept an eye on the Earth's magnetosphere and how it reacts to the solar winds. Then on December 18, 2005, radio contact was lost for unknown reason. After weeks of attempts by NASA to regain contact, the probe was written off for good. That's where matters stood until January 7, 2018 when a Falcon 9 carried a secret payload for the US government into orbit. Though the launch apparently went off successfully, the classified ZUMA satellite was lost and amateur astronomer Scott Tilly of Roberts Creek, British Columbia, decided to see if he could find it by scanning the S-Band of the radio spectrum. Tilly didn't find ZUMA, but on January 20 he reported finding an unusual signal and when he compared the orbital parameters of the transmission source, he discovered they matched with those of IMAGE. Over the past week, Tilly has made more recordings and his analysis indicates that IMAGE is still rotating as designed and that it may be operational, though not transmitting in the right direction. Meanwhile, Richard Burley of GSFC confirmed in an email to Tilly that the radio source is compatible with that of IMAGE. In a separate press release, NASA says that GSFC has acquired time on the space agency's Deep Space Network (DSN) and is trying to verify if this is indeed IMAGE, and perhaps reestablish communications. Exactly why IMAGE has begun transmitting now is unclear, but the satellite's orbit does send it into eclipse at intervals and it's possible that one of the plunges into darkness resulted in a power failure that caused its systems to reboot.